​A self-described lifelong learner, Taylor spent the past three decade mentoring nursing students, health organizations and partnerships. Sher serves on the faculty of the Southern University of Baton Rouge School of Nursing, and is the Director of the Office of Nursing Research. Taylor also reviews articles for health journals and enjoys writing poetry. ​In her role as teacher, mentor, researcher, leader and lifelong learner, working closely with students has been a constant and joyful core component of her life. "I am excited about working with NSNA," she says. "I believe that student nurses are precious jewels in the crown of healthcare professionals." Dr. Taylor hopes to inspire student nurses to dream big and strive for excellence. With her substantial leadership involvement in ANA, on both the national and state level, knowledge of NSNA, as well as a proven capacity for encouraging growth and mentorship among future nurses, Ms. Mortimer will contribute a great deal to the position of ANA Appointed Consultant. ​Ms. Mortimer is currently a part-time faculty member at George Washington University, Washington, DC. She actively engages her students in the importance of advance policy and advocacy on behalf of the nursing profession. She spent most of her career as an educator after serving in the U.S. Army in Tacoma, Washington, from 1973-1975. Her clinical specialty is in maternity care. ​She earned a Bachelor of Science Degree from Boston University in Boston, Massachusetts. She went on to earn a Master of Science in Nursing from the University of Oklahoma in Oklahoma City, Oklahoma. 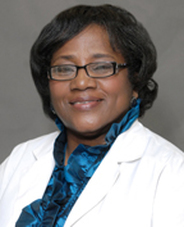 ​A recipient of numerous honors and awards, Ms. Mortimer was presented with the NSNA's "Leader of Leaders" Award in 2009. The award, created by the NSNA Board of Directors in 1991, is presented at the organization's Annual Convention to the dean, faculty advisor or state consultant who has made an outstanding contribution to student nurses. ​"I'm extremely excited," Ms. Mortimer said. "Working with nursing students is a thrill and working with those who are willing to get involved outside of school has always kept me engaged." Dr.Cheryl Schmidt, American Nurses Association Appointed Consultant, 2008-2012 discusses the role of the consultant and how they can guide boards in making important decisions as they relate to the organization. To learn why you should get involved in NSNA as a faculty member, click here.